Leaf Clip Art is available here. Great images, include them in your own designs. No signup, instant download! 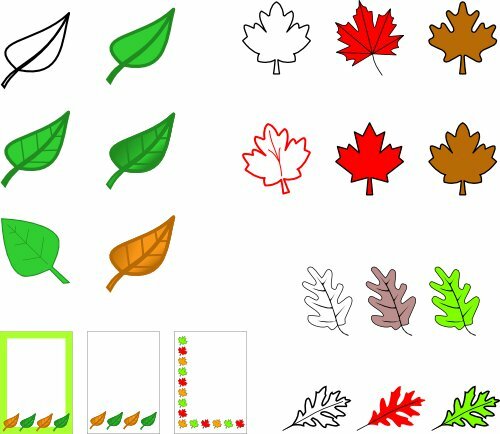 Here is a sample of some of the Leaf clip art images you will find on this site. Red, green, outline, oak, maple and others. Also leaf page borders. Click the image or click here to go directly to the Leaf clip art page. You can use this clip art for personal use. However it cannot be used for commercial use, and cannot be placed on, or hotlinked to another website. Your respect for the copyright of the author is appreciated. Thankyou. Would you like to suggest other clip art images you would like, or variations of the Leaf Clip Art. Please click here to request clip art you want to see. Book Clip Art is available here. Great images, include them in your own designs. No signup, instant download! Books, different colors, shapes, and designs! 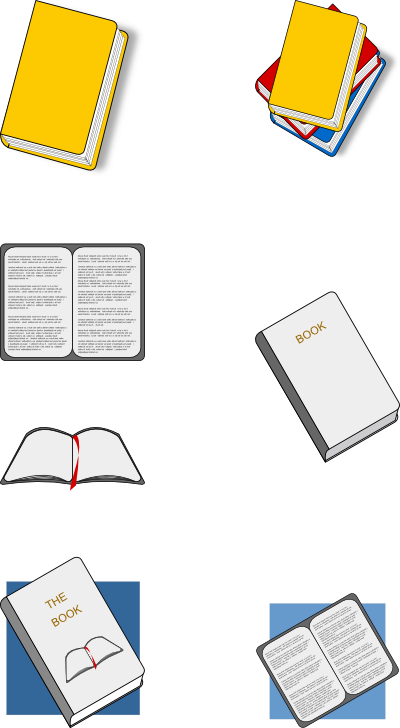 Here is a sample of some of the Book clip art images you will find on this site. Click the image or click here to go directly to the Book clip art page. Would you like to suggest other clip art images you would like, or variations of the Books Clip Art here. Please click here to request clip art you want to see. Hearts Clip Art is available here. Great images, include them in your own designs. No signup, instant download! 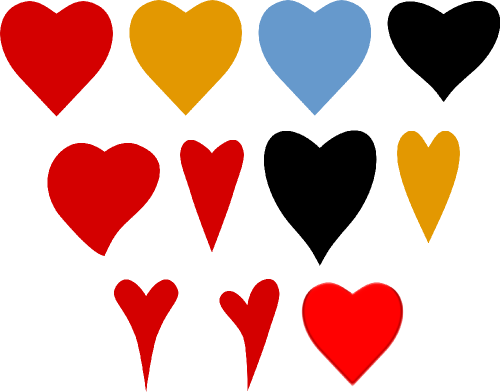 Hearts, different colors, shapes, and designs! Here is a sample of some of the Hearts clip art images you will find on this site. Click the image or click here to go directly to the Hearts clip art page. Would you like to suggest other clip art images you would like, or variations of the Hearts Clip Art. Please click here to request clip art you want to see. Star Clip Art is available here. Great images, include them in your own designs. No signup, instant download! Stars, different designs and colors for you to choose! 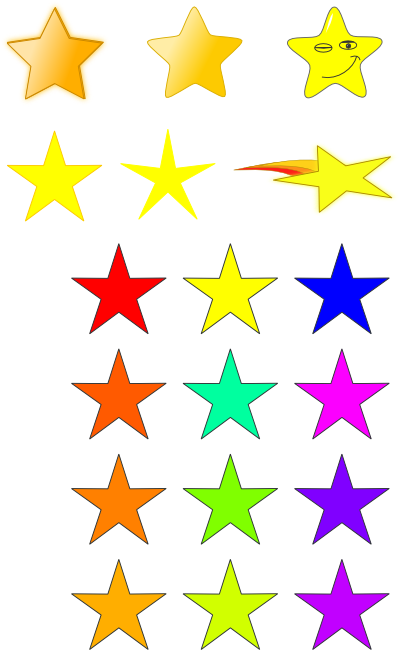 Here is a sample of some of the Star clip art images you will find on this site. Click the image or click here to go directly to the Star clip art page. Would you like to suggest other clip art images you would like, or variations of the Star Clip Art. Please click here to request clip art you want to see. Smiley Face Clip Art is available here. Great images, include them in your own designs. No signup, instant download! Here is a sample of some of the smiley faces you will find on this site. Click the image or click here to go directly to the smiley face clip art page. 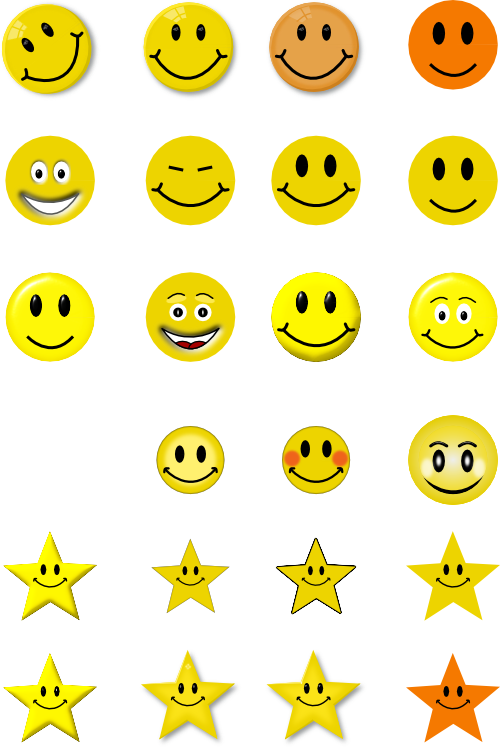 Would you like to suggest other clip art images you would like, or variations of these Smiley Face Clip Art. Please click here to request clip art you want to see. Baseball Clip Art is available here. Great images, include them in your own designs. No signup, instant download! Baseball, a great game for all, all you need is bat, a ball, some gloves, bases, and two enthusiastic teams! 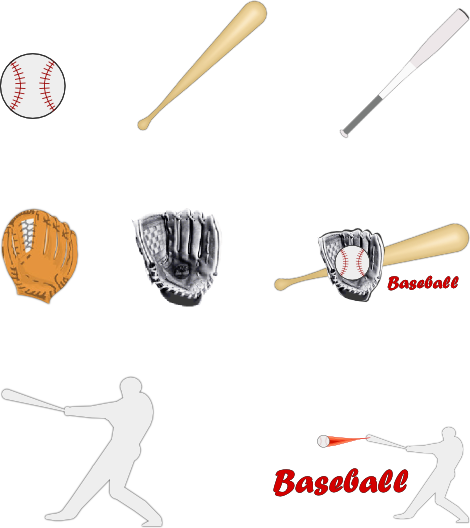 Here is a sample of some of the Baseball clip art images you will find on this site. Click the image or click here to go directly to the Baseball clip art page. Would you like to suggest other clip art images you would like, or variations of the Baseball Clip Art. Please click here to request clip art you want to see. Beach Clip Art is available here. Great images, include them in your own designs. No signup, instant download! 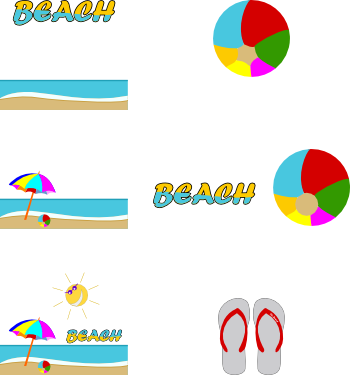 Here is a sample of some of the Beach clip art images you will find on this site. Summer is a great time to enjoy the beach. The warm golden sand, the gentle unending waves and cool refreshing water on a hot day. Click the image or click here to go directly to the Beach clip art page. Would you like to suggest other clip art images you would like, or variations of the Beach Clip Art. Please click here to request clip art you want to see. Summer Clip Art is available here. Great images, include them in your own designs. No signup, instant download! 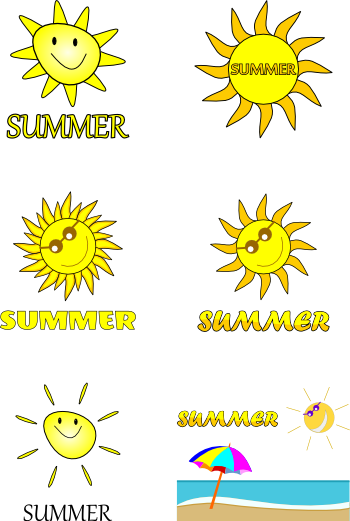 Here is a sample of some of the Summer clip art images you will find on this site. Summer, what a great time. Warm to hot outdoor weather, great for barbaques with friends and going to the beach. Click the image or click here to go directly to the Summer clip art page. Would you like to suggest other clip art images you would like, or variations of the Summer Clip Art. Please click here to request clip art you want to see. Flowers Clip Art is available here. Great images, include them in your own designs. No signup, instant download! 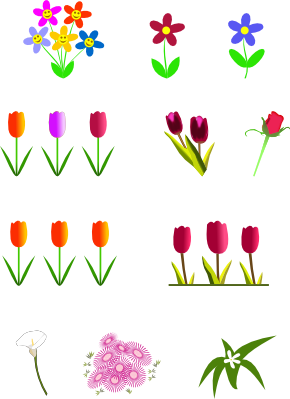 Here is a sample of some of the Flowers clip art images you will find on this site. Click the image or click here to go directly to the Flowers clip art page. Would you like to suggest other clip art images you would like, or variations of the Flowers Clip Art. Please click here to request clip art you want to see. Spring Clip Art is available here. Great images, include them in your own designs. No signup, instant download! 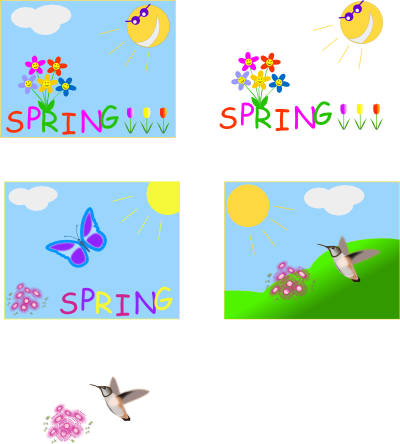 Here is a sample of some of the Spring clip art images you will find on this site. Click the image or click here to go directly to the Spring clip art page. Would you like to suggest other clip art images you would like, or variations of the Spring Clip Art. Please click here to request clip art you want to see. Checkout the updated Worms Site! DonaldVef on Checkout the updated Worms Site!